Posted on March 17, 2014 by F.H. 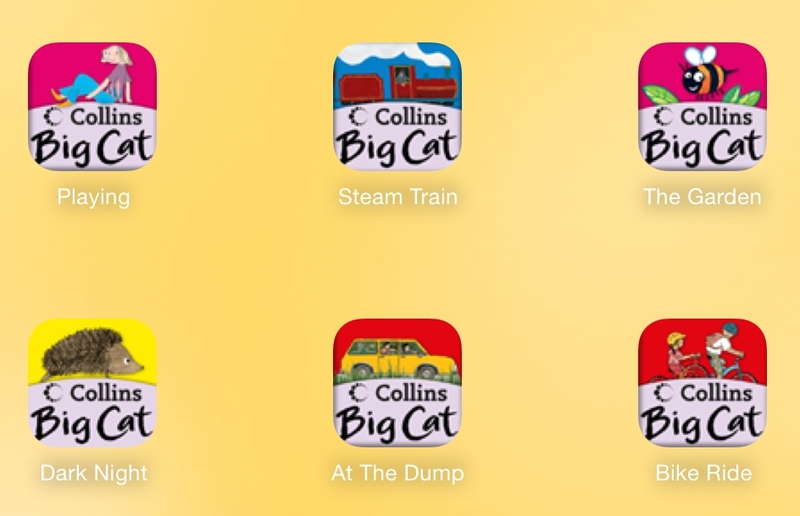 Collins Big Cat Storybooks are a collection of free storybooks for young children. Each iPad app is a different story, with 8 stories to download. Collins Big Cat Storybooks have 3 options for reading: Read to me, Read by myself and Story Creator. Having the story read to your child allows them to focus on the words as they are highlighted, whereas Read by myself gives your child the opportunity to practise their own reading skills. The Story Creator option is a chance for your child to retell the story – they get to build the scene, choose the characters and then record their own voice telling the story. Collins Big Cat Storybooks could be used for a variety of activities. There are the ‘Listen to Reading’ opportunities and simply just reading the book, but by working in pairs to use the Story Creator option, students allow themselves to discuss the story. Building the story themselves helps them have a deeper understanding of what has happened, which is perfect for checking their comprehension and reading fluency. Sharing their story with an audience, hearing their own voice is something that most children love! Click here to be directed to Collins Big Cat: Around the World in the App Store. Click here to visit the Collins for Education website. This post is the sixth in a series, highlighting apps which can be helpful in the education ‘game’.